Category Archives for "MathLight Features"
Jaida is sitting down to her math homework. No problem, she thinks, adding like terms was so easy! She opens her notebook and starts on the first problem. 3x + 2 – 5x. Um…..what am I supposed to do again? So where do they go for that refresher? Well, if you the teacher are around then lucky you! This is just one place that MathLight’s quick review videos come in handy. Students can quickly pull up a quick 2-3 minute video that will re-explain the key concepts in no time flat. And this is just one of the awesome ways you can use these free videos in your classroom. Check out this quick 2-minute video to discover how you can use these free videos to help your students refresh, review, and reinforce key concepts. Students use quick review videos to prepare ahead for a coming lesson, to brush up on a previous lesson and of course, to prepare for assessments. 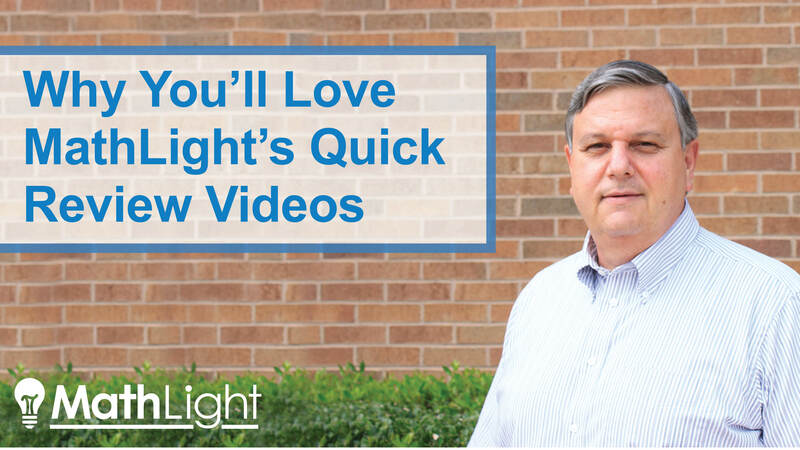 At MathLight, we provide quick review videos for every lesson of every unit. And the best part? Right now, you can use them for free in your classroom! Click here to find out more about MathLight & to try the videos for free.